In both her drawings and paintings, Deborah Zlotsky works responsively, constantly altering relationships in a process of accumulating, assembling and revising. She arranges and rearranges relationships in her paintings to uncover unexpected anomalies, overlaying, abrading, reconfiguring and repeatedly repainting and re-varnishing to create slippage between the past, present and future. Although abstract, the work comes out of a personal awareness of the complexity, subtleties and coincidences of being in the world. 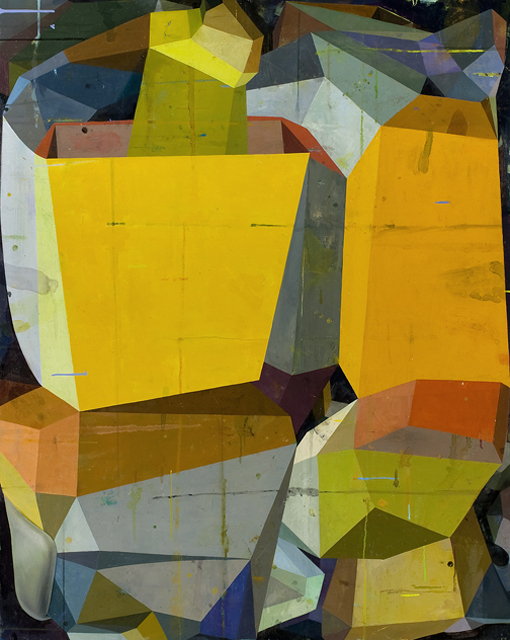 A 2012 recipient of a New York Foundation for the Arts Artists’ Fellowship in Painting, Zlotsky received her BA from Yale University and an MFA from the University of Connecticut. Zlotsky has exhibited her work widely at venues such as The Painting Center (NY, NY), the Barrett Art Center (Poughkeepsie, NY) and Pierogi Gallery (Brooklyn, NY) as well as at the U.S. Department of State in Guatemala through the Art in Embassies program. Zlotsky has been an artist-in-residence at Yaddo (Saratoga Springs, NY), Ox-Bow (Saugatuck, MI), Weir Farm Art Center (Wilton, CT) and the Millay Colony for the Arts (Austerlitz, NY), among others. Her work is in numerous private and public collections, including: Progressive Insurance, Nordstrom, Rutgers University, the Waldorf Astoria, the William Benton Museum of Art and the Albany Institute of History and Art.